All data that DCRM generates that has gone through appropriate QA/QC is posted in our open data portal! Data Access – DCRM’s projects and ongoing monitoring programs result in a large quantity of data. In an effort to share and distribute this information, DCRM has developed an Open Data Portal. 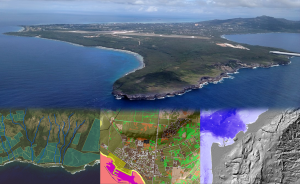 This portal currently serves spatial data related to a variety of projects. Various additional tools and applications are available to support resource management efforts. Do you have a suggestion for how we can deploy more helpful tools? Please contact us and let us know!